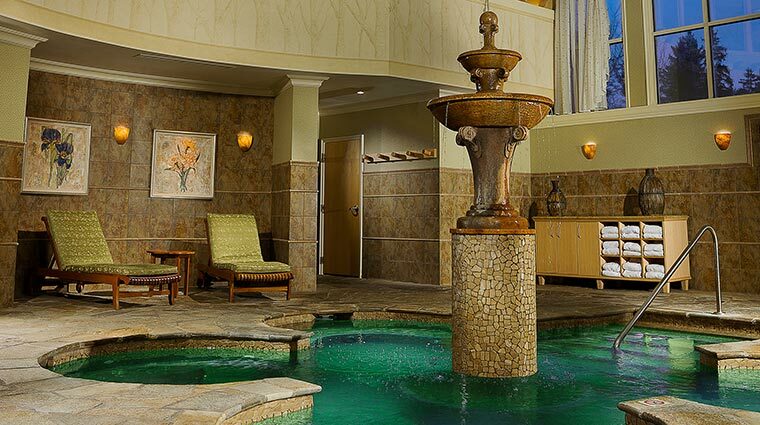 Skana Spa, which means “peace spa” in the Oneida language, is the perfect refuge from the bright lights and bold sounds of the Turning Stone Resort Casino. 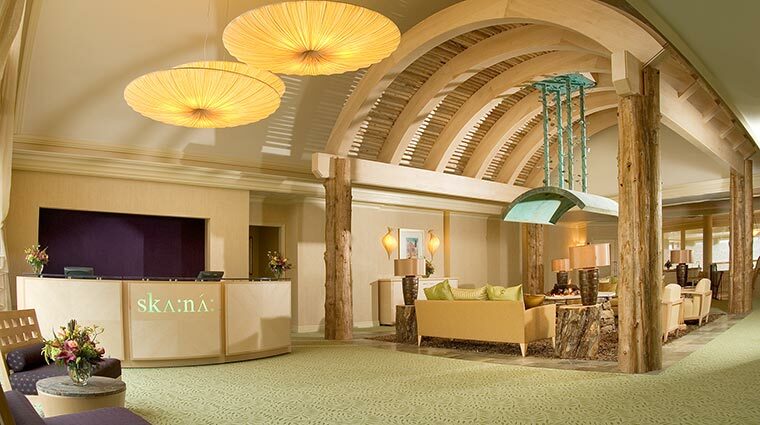 The spa oozes tranquility; from the moment you enter its front doors and walk down the long hallway toward the check-in desk, to the time you leave. Furthermore, Skana provides a full range of treatments including massages, body wraps, facials, and couples treatments that combine ancient American Indian healing traditions with modern methods and amenities to help promote inner peace and harmony. 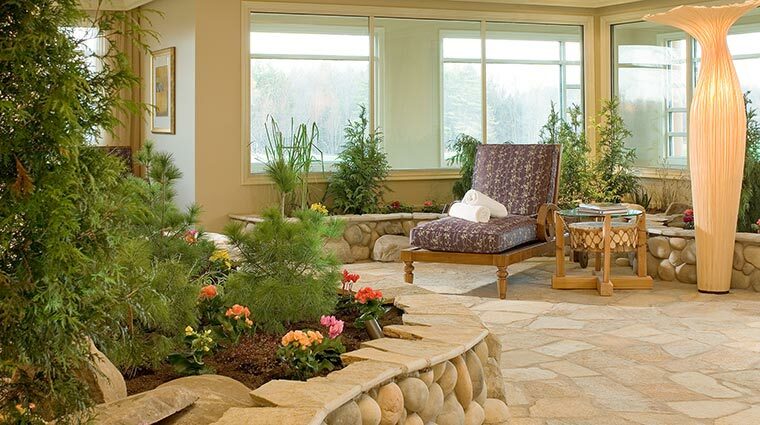 While you’re here, embrace the spa’s American Indian surroundings — the architecture is a tribute to the Oneida culture, including a welcome area made from a traditional arched Oneida longhouse and a private garden with wood swings and lounge chairs for immersing yourself in nature and its surroundings. • All of the massages and body treatments combine ancient American Indian healing traditions with modern techniques to help create inner peace, relaxation and rejuvenation. • Scalp massages, foot massages, and a body exfoliation can be added to any massage. • You can choose from a variety of massages based on how you’re feeling, or let one of the spa associates help find the perfect massage for you. • What we love most about this spa (in addition to the luxurious treatments) are its relaxation areas. • The best way to get an appointment at Skana Spa is to call ahead and book your appointment, especially during high-travel periods. • If you’d rather wait to book your spa appointments for when you check in, the concierge can assist in securing reservations. • You won’t want to rush your time while you’re here — take advantage of Skana Spa’s facilities by giving yourself a little extra time before and after your services. • One of the most satisfying massages is the Sage & White Pine Hot Towel. It’s a traditional Swedish massage that incorporates sage and white pine essential oils, but also introduces hot towels throughout the treatment to help relax the muscles and emphasize a state of relaxation. • Other services include the Skana Harmony Massage in which sunflower and jasmine are used to bring about said harmony. • Arnica Muscle Repair Massage consists of a sports rubdown that helps alleviate tension and tight muscles with the use of Arnica oil. • The Cleaning Detox Massage involves citrus, olive and rosemary oils working alongside gentle strokes to remove toxins. Promote total relaxation with the Signature Sage Stone Massage’s kneading technique. • The peaceful haven has 12 spacious treatment rooms. 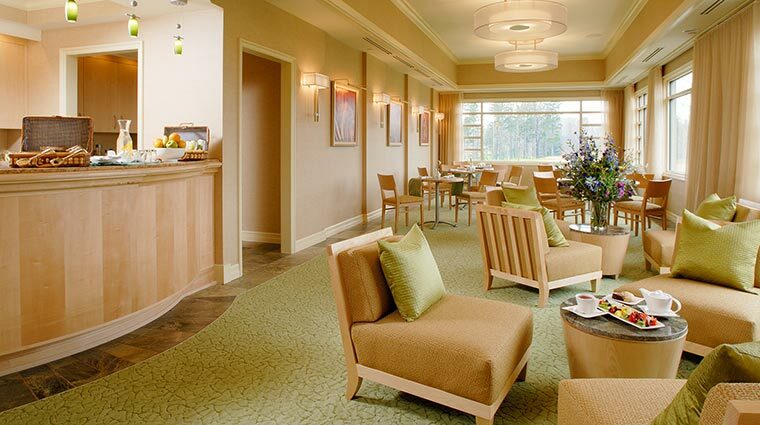 Those looking for a romantic getaway – or a place for a group outing – will enjoy the VIP suite. • Don’t forget to pop into the spa boutique before you leave. You’ll find shampoos, conditioners, lotions, nail polishes and a variety of makeup for purchase, as well as towels, robes, yoga wear, swimsuits and cover-ups. • The full-service salon offers haircutting, color services, styling, blowouts and up-dos for special events. You can also enjoy a manicure or pedicure, as well as waxing and makeup services. • Be sure to enjoy the steam room, sauna and mineral pool while you’re here. • In the warmer months, relax in Skana’s private herb garden or have lunch delivered while you’re in between treatments.